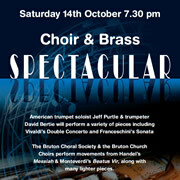 The choirs of St Mary’s Church, Bruton, will be joining forces with Bruton Choral Society, trumpet soloists David Bertie and Jeff Purtle and organists Simon Clarkson and David Slater for an exhilarating evening of music for choir and brass next weekend. 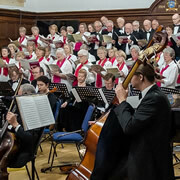 Bruton Choral Society concert: Jubilate! Summer’s finally on the way! 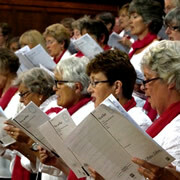 Come and celebrate at our Jubilate concert on 20th May at 7:30pm in the Memorial Hall at King’s School, Bruton. Inspirational live music and alfresco Pimms – what better way to celebrate the arrival of summer!